Enjoy style and convenience with the CAE Kent Lever Handle Kitchen Faucet with 360° Swivel. These kitchen faucets are both beautiful and stylish. You’ll love the ease and convenience that comes with the 360° swivel. These faucets are made with solid brass and have a classic chrome finish. The kitchen is no longer solely where you make meals for your family; it’s where you entertain guests and host gatherings. This means that your kitchen tap needs to be more than just functional. It needs to be stylish too. 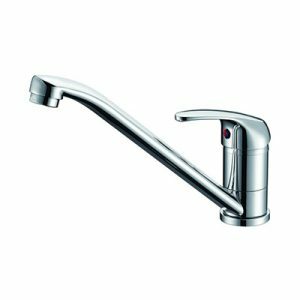 The CAE Kent Lever Handle Kitchen Faucet is both stylish and functional. Not only is it finished with beautiful chrome, it also has the ability to swivel 360°, making clean-up a breeze.